Your pre-seminar forms are now ready for your completion! You must complete these materials online before you can attend the seminar. They are due by Friday, May 10, 2019. You can access the forms by clicking here! 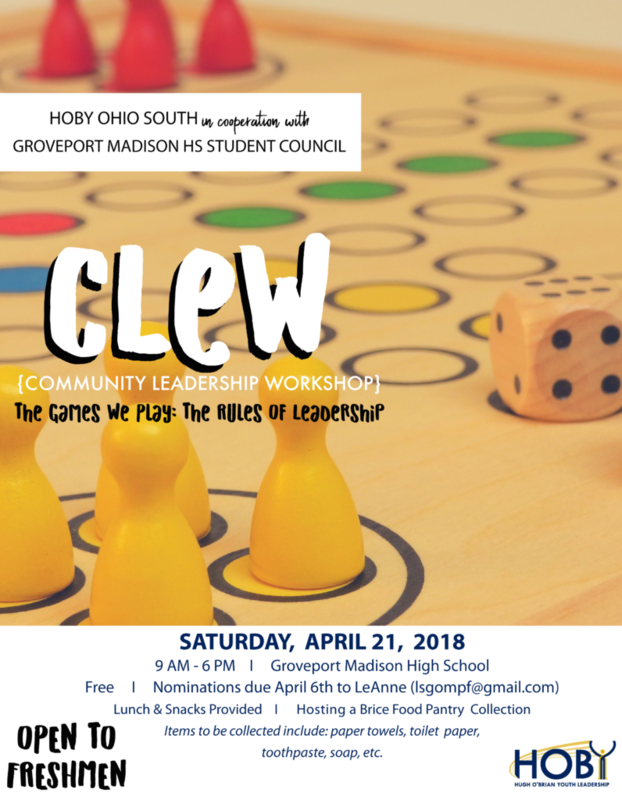 If you have any questions, please don’t hesitate to contact Katie Hanson, Director of Recruitment, at [email protected] or (740) 500-HOBY(4629). We can’t wait to meet you all in June! In the mean time, you can find everything you need to prepare for your HOBY experience on our Getting Ready page. The 2018 Leadership Seminar is less than a month away! Ambassadors and families, please remember to fill out your pre-seminar materials if you haven’t already. These forms are now late! Please remember that if you are bringing prescription medication to HOBY, your prescribing physician must complete, sign, and return this form. Plan to arrive at Marietta College between 12:30pm and 1:30pm on Thursday, June 7, 2018. Please park in the parking lot at 215 N Seventh Street, Marietta, OH 45750 between Butler and Putnam Streets. You’ll see a large HOBY banner and signs to direct you. For more detailed directions to campus, please click here. Closing Ceremonies will be on Sunday, June 10, 2018 at 2:00pm. All are welcome! Remember to take a look at the suggested packing list and seminar FAQs! 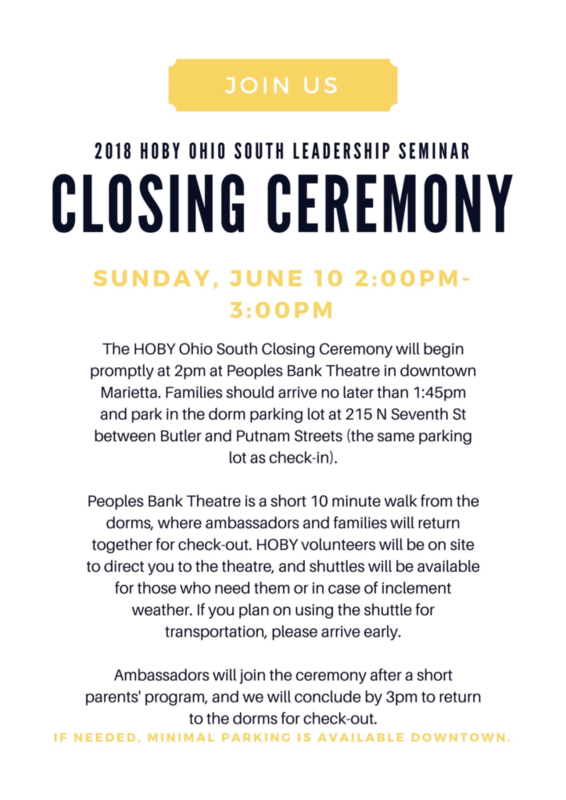 As always, please don’t hesitate to reach out to our Director of Recruitment, Amy Moran, at [email protected] or (740) 500-HOBY(4629) with any additional questions or concerns. HOBY Hugs, and we can’t wait to meet you all in June!